There have been a few exceptions where relatively egalitarian structures have flourished and the economic classes did not determine life chances nor lead to vast inequalities. 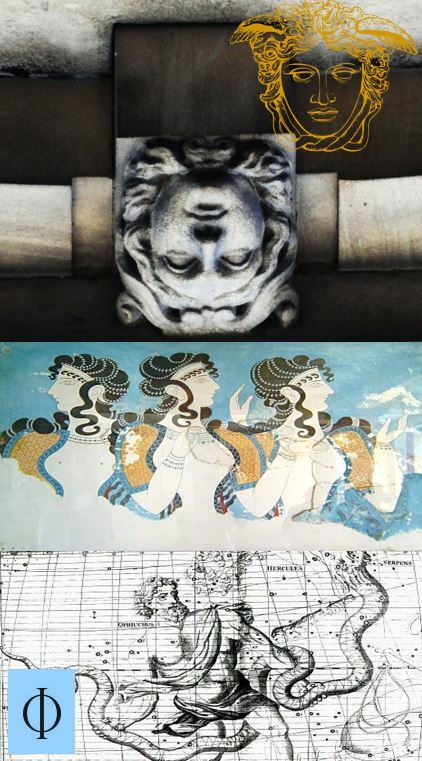 The Minoan civilization which persisted for 2,300 years and featured a relatively egalitarian social system that was supplied by a resource rich island and established trade routes which also brought goods into the society that were evenly distributed in such a way that most people lived well. 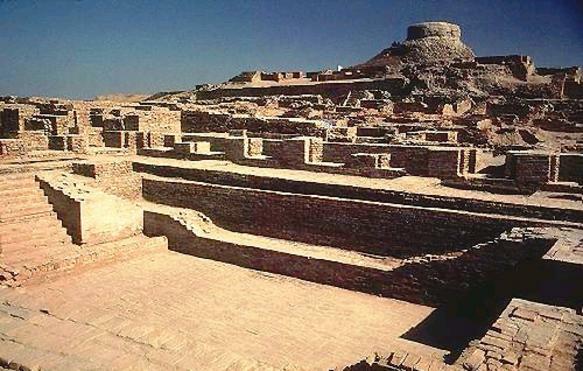 The civilization of Mohenjo-Daro located in modern day Pakistan persisted for 1,000 years and also was a complex society that featured a relatively egalitarian social structure with again most of the material culture and benefits of engineering being evenly distributed. 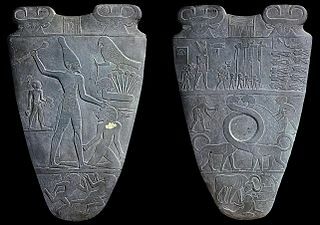 Another factor that Agriculture introduced was social status and scarcity, two concepts that were largely absent in many of the cultures that preceded agricultural societies. 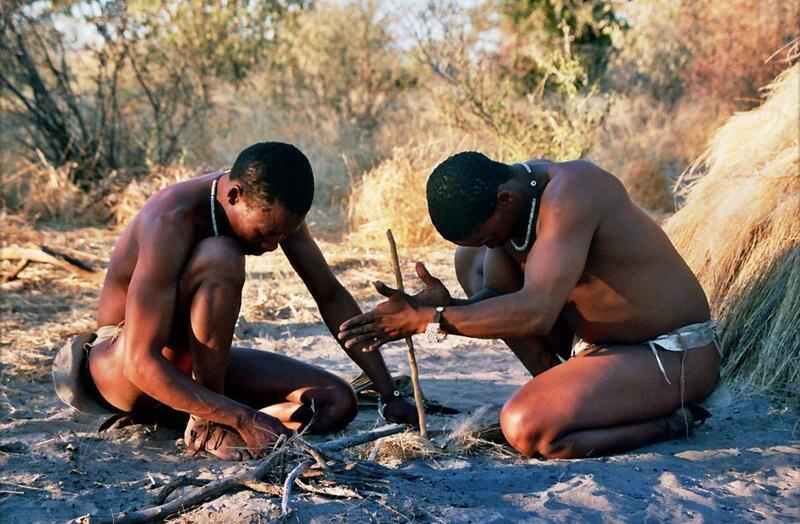 Abundance was the norm in most Gatherer-Hunter societies as there was no permanent settlement, little opportunity to accumulate possessions, no need to store food or create surpluses as food was gathered daily, and hence little need for complex hierarchies to manage resources and little chance of scarcity to emerge as if one area was resource poor you could easily migrate to other areas. In regards to status with no objects to collect that conferred a status or authority the striving for status was likely absent or if present was attached to how much you were willing to contribute to the group, a kind of negative status striving in which contributions improved social relations, the opposite of what would emerge under agricultural schemes. Agriculture was likely unavoidable, population increases and climatic shifts were placing selective pressures on the human species that made the transition inevitable. What wasn’t inevitable was the establishment of hierarchies and eventually monetary systems that these hierarchies were based on, and even ones that spoke of ritual purity and accepting ones lot in life are also based on resource concentrations, elites and a bureaucracy needed to manage these distribution schemes which ultimately became based on scarcity. The Citadel of the Indus Valley Civilization, site of Mohenjo-Daro , 3000 B.C.E. So why the history lesson? It is likely that these mechanisms were the result of imaginal orders that emerged under the pressures and resource constraints created by sedentary living (in years of low yield famines could ensue and create scarcity). It is these imaginal orders which act like a contagion a virus in the human imagination and constrain our lives to the parameters set out in them. The current one we are contending with Neoliberal Capitalism and it has a massive problem. Primarily it cannot contend with a planet with finite resources and ecosystem limitations and a physico-chemico-biological operating system which has fundamental subroutines which impose limits in a closed system. It also cannot contend and has an outright blindness for the extreme and severe inequality that it spawns and which interestingly enough left unabated could precipitate the collapse of the social system that undergirds its function (similar to how a cancer deprives the body of resources before ultimately destroying the body by draining it). Professor Johnathan McMurty of the University of Guelph calls this the Life Blindness of the invisible hand of capital. There has been marked resistance to its hegemony that has flared up in recent years and has been a sustained chorus ever since the Club of Rome published its seminal volume in 1972 ‘The Limits to Growth’. The rash of authoritarian politics we have seen emerge contemporaneously is a symptom of the initial breakdown of this economics as well as the first knock on effects of the ecological instability it has spawned since the beginning of the Industrial Revolution. 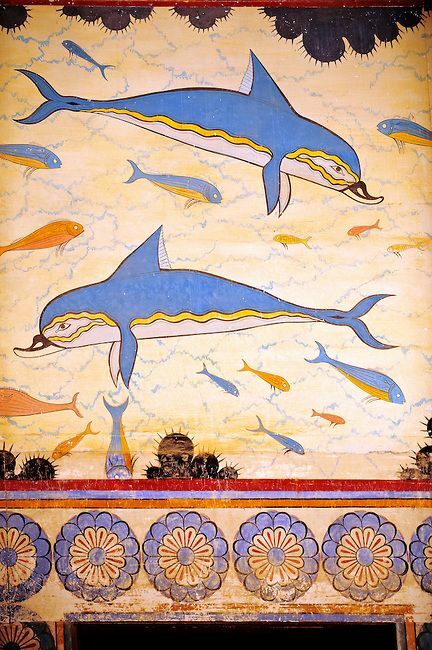 Minoan Dolphins Fresco from the Place of Knossos, Crete, 1600 B.C.E. In order for a virus to infect a host cell it first must dock with a receptor along the cells surface membrane, after which it undergoes a cascade of chemical changes and conformational permutations that allows the virus to fuse with the host cell. This is a mechanism that Aries can exploit being the initiator of the zodiac. In essence Aries has to find a way to fuse with the host cells of our civilization and get past the initial defenses to exploit an opening a crack inside the consciousness of the person being influenced so as to plant a new idea in them. It is the first step in building the necessary critical mass to begin to move society in a different direction. Your task in essence is to figure out who may be receptive to new ways of living and to assertively implant the seed of a new culture into them. It requires a finesse and also a bold brashness that you are famous for. Minds will have to be changed and made aware of the problems laid bare with our current social model. This requires that we are able to find receptive minds, current politicking and the degradation of intellectualism are high barriers to this and there is a need to break through echo chambers created by a fragmenting media stream. 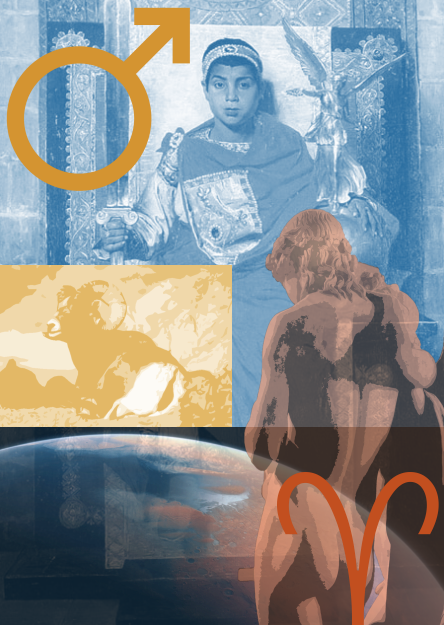 It is this difficult task Aries must master in viral evolution and specifically is to use existing communication tools to speak to people across divides and fuse novel concepts into their understanding. Aries is good at leading this charge as it is the struggle to survive. Taurus typically loves to collect objects of beauty and status that reflect their understanding of symmetry and artistic harmony. Our ersatz culture of hyper-consumption encourages the collection of needless objects, cheaply designed to fall apart (planned obsolescence) that turns the aeons long development of precious natural resources into trash which then poisons the harmony of the ecosystem. This is a deep affront to Taurean sensibilities which emphasize the collection of meaningful experiences and beautiful, durable objects that have practical and spiritual-Cultural significance. It is this sensibility deeply embedded in the Taurean psyche that could become the contagion of a new relationship to material culture. There is a need now for a spiritual materialism which holds sacred the materials of the planet that are provided by natural cycles and their transformation into useful objects that are durable and avoid becoming a part of the burgeoning waste streams of our society. This is nothing short of a complete makeover in every process involved in the creation of materials for society that cuts right down to the fundamentals of resource conservation and materials science. It falls to Taurus to figure this out because of this signs particular affinity for material reality. Memes (similar to genes) which refer to a set of cultural ideas which infect a society and determine its activities are constantly undergoing an arms race in which there is a struggle to survive by contagion. In other words ideas spread by infecting human minds and determining behaviors which become culture. It is this dialectic process that gives rise to culture wars. Memetic evolution follows similar principles to genetic evolution in which those best adapted to their contexts will tend to proliferate and survive across generations. The problem is that sets of ideas that work in one context are not optimal for new selective environments and herein lies the crux of our civilizations current predicament. A significant number of our guiding philosophies are putting our species on an ecocidal trajectory that could end in our own extinction and potentially most other life-form as well. Our religions and economies support an idea of endless growth on a planet that has limits and resource constraints that once in overshoot cause a catastrophic collapse. Not to mention that corporations are addicted to the idea of draining all the petroleum left on the planet which would be better served left in the ground to avoid catastrophic climate change. Gemini intimately understands cognitive dissonance (being a duality itself) and how inconsistent philosophies can exist within the same social ecosystem. The key to this problem is to thoroughly countervail the dominant contagion with a new kind of contagion to be a virus in the system that hijacks the machinery of civilization in novel ways to produce religions, ideas, and philosophies which square with planetary realities. 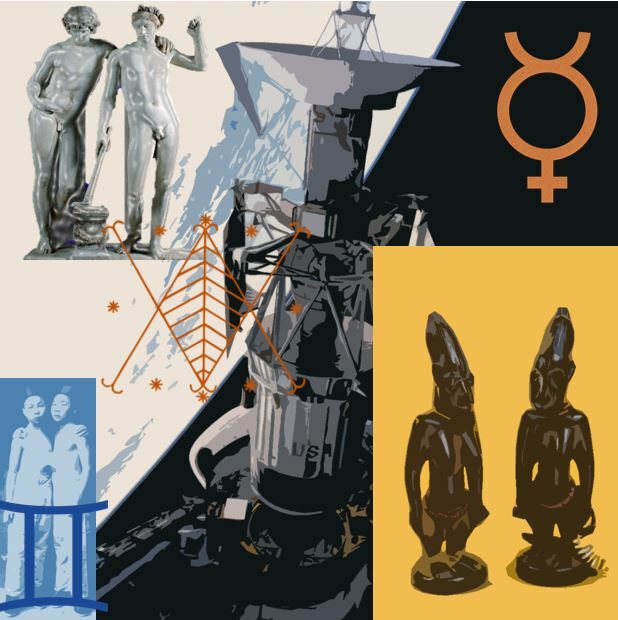 Gemini is given this evolutionary task because they know how to manipulate ideas in ways that make them highly influential and spread like a contagion with rapidity. Retroviruses are the types of virus that utilize the enzyme reverse transcriptase which allows them to construct a pro-viral DNA chain by creating an RNA analogue that can be used to create a double helix strand in a later stage of viral replication which will then go on to be integrated into the host DNA. It is a particular art form with an unmatched elegance, it can sneak past the most sophisticated defenses to utilize cellular machinery to spread its contagion. It is also an art that Cancer can optimize and use to change the cultural dialogue that is dominant. 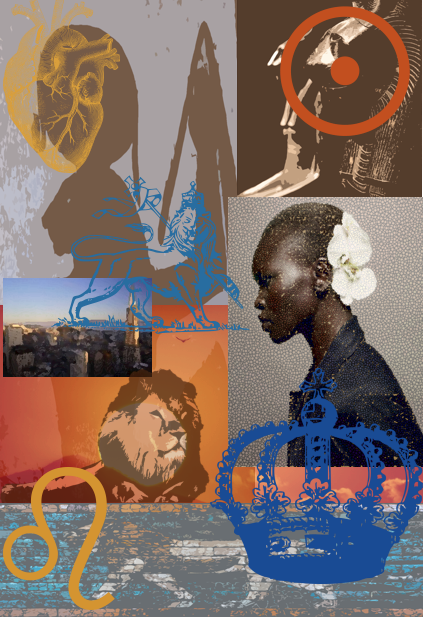 Cancer represents the voice of culture and its capacity to shape the phenotype of society. Cancer being a master at constructing defenses, can evade them better than any of the ciphers of the zodiac because of their insider knowledge. A similar task to Gemini falls to you with a twist. Instead of adjusting ideas you are appealing to beliefs which are held at a more instinctual level. You must commandeer the machinery of society and use it to reverse engineer its most intimate assumptions about reality. A few you might consider is emphasizing that diversity is reality, biology enables where culture restricts, most of our prejudices are constructs based on dubious distinctions and false dichotomies, and there are limits to growth! All viruses have one thing in common, all of them have evolved a set of chemokine receptors on their surfaces that conform to similarly shaped receptors on the cell surface membrane. It is these receptors that permit the virus to dock with the cell and ultimately gain entry as these receptors can fill sites, undergo conformational changes and activate cell receptors in a way akin to a key turning a lock. One they do that proteins within the virus activate allowing it to fuse with the cell by utilizing the lipophilic proteins which have affinity for cell membranes, it’s similar to a comet striking the atmosphere in the Earth and the changes it viruses initiate will have a similar impact. Leo’s with their flair for attention easily have these far reaching impacts and so can exploit native talents for slipping keys into locks and using their considerable gravitas towards gaining entry into areas that would normally be barriers for most. It is this flair for infiltration and high impact that will serve them in transforming the system as it may be at present. A crucial step in the replication cycle of viruses is the creation of pro-viral DNA which will ultimately be inserted into the host cell genome where it will program cellular machinery to produce viral proteins. It is this phase which ultimately seizes cellular machinery and Virgo is compelled to imitate this exact process. The objective in mind is to change the DNA of the world system which is currently programmed for collective apoptosis. 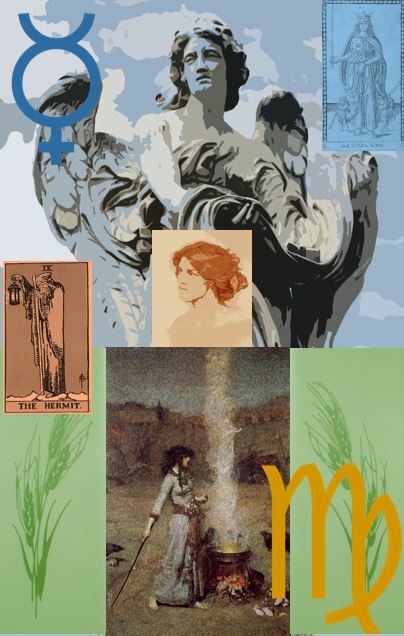 Virgo is rewriting the programming code at a fundamental level for how the engine of society operates. Virgo is changing the way social proteins fold and function, this will be very upsetting for those with vested interest in the status quo. 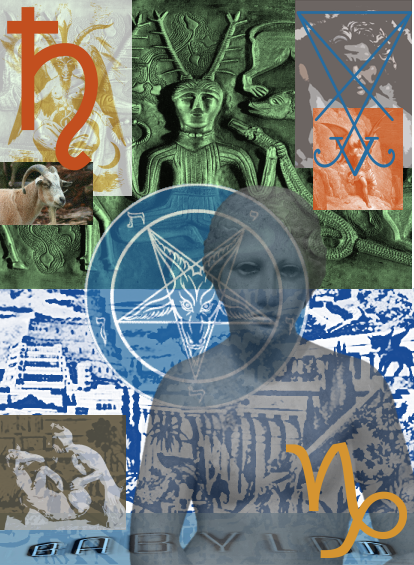 The system a Virgoan province of influence as Virgo’s domain includes complex systems is the main focus and the objective is to change it to match the interconnected realities of the over-arching planetary system. Virgo is responsible now for integrating the human organelle into the greater cellular matrix called the “Environment”. Often we perceive ourselves as distinct from the environment but in fact we are not, it is quite literally what gives us the ground of our being without which we would perish. For instance turn off the oxygen and you suffocate, remove the water and you dehydrate and eventually cease life functions, disrupt the geo-chemical cycles of the major systems of the planet and you alter the basic chemistry of life. 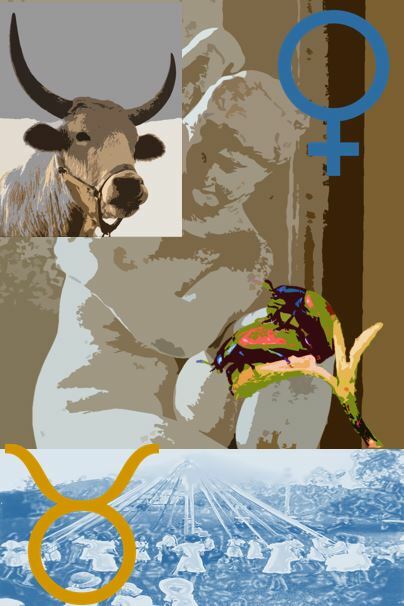 Virgo is quite serious business, however without a focus on the infrastructural systems which enable life on Earth we cannot function and it is crucial that human social systems begin to grapple with the environmental systems that are foundational to all social evolution. Failing this we will eventually experience system failure. It’s a tall order, Virgo however always gets it done. As cancerous as our system has become it is the dominant system and along these lines as the viral pressures act on it, it will likely mount an immune response. This correlates to the fact that liberal democracy has granted the State a monopoly on violence to protect its integrity and security and largely this looks very similar to an immune response. Along these lines as new viral memes spread designed to change the system and rid of us a cancerous ideology, they will have to learn strategies for evading defenses mounted by the predominant system. It is left for Libra to figure these out as it is them who have a natural charm and diplomacy that they can use to great effect to evade defenses. Perhaps appearing as agents of the system but actually being sleeper cells that will then activate and use social machinery to move around defenses. There are some analogies for this from the viral world, first off Trojan Horse computer viruses utilize this strategy to gain access to networks before infecting them. Another analogy from the replication cycles of viruses in biological systems is the viral un-coating stage that occurs as the virus finishes fusing with the host cell membrane. In this phase the virus in cytosol undergoes a slight digestion process as the protein shell which contains the viral RNA is dissolved releasing the capsid into the cytosol environment, it is at this point that the first viral replication phases can commence. Libra copy this strategy it is likely to assist with getting past barriers to entry and ensuring that new ideas can spread. Viral Integration is this step in viral evolution that the virus is capable of reorienting cellular functions to producing viral substrates. It is a metaphor for exactly what Scorpio’s role in social evolution is as well, it is conflict and capture with all of the Promethean implications that entails. It is in essence the seizure of the engines of civilization and then reprogramming them permanently towards a trajectory they were not originally designed for. 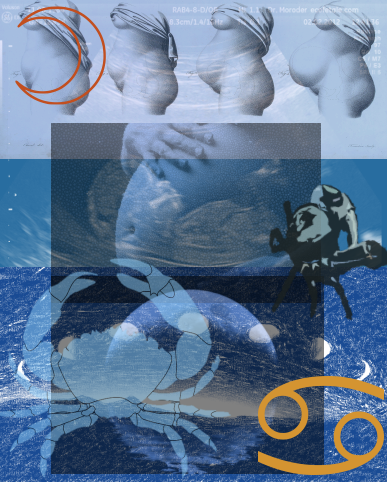 Scorpio is implicated in the piracy to take the world back from the imaginal order of endless growth and those despoiling planet and people for the sake of the profit motive. Perhaps you were hoping for a fun summer well here’s the deal stealing the world back is the most fun you can have and also the most noble and devious thing that any one person can do with their life, and you are a deliciously diabolical this way, it is why everyone wants you, and the times we are in call for the ruthlessness of the virus in its relentless pursuit of replication. The phase in viral replication that comes before viral integration into host cell DNA is pro-viral phase in which a strand of viral DNA is arranged into a pre-integration complex. A phase in which the viral DNA strand is conformed into a circular shape and associated with proteins that will ferry it and allow for integration into the host cell nucleus and genome. Two of these proteins provide a vital function one acts like a beacon which hone in on the nuclear membrane (surface of the host cell nucleus) and pinpoint a nuclear pore through which the viral DNA can slip through. The second acts a ferry which moves the viral DNA through the cytosol to the nucleus. It is this catalytic molecule that Ophiuchus is destined to imitate. You have a unique mind for identifying the cracks in the system that allow for effective entry of new programming into the system replication machinery which allows you to re-program the DNA of civilization. A faculty for creating strong subjective realities and new imaginal orders means that you can paint vivid pictures that will slip easily into even resistant minds, all because like magic you can effectively ferry them to the points of reception that effect the deepest change. The final stage in viral replication is the phenomenon of viral budding in which the viral matrix is assembled using host cell membranes to bud off intact virus which can then infect other cells. It is this strategy that Sagittarius utilizes to make systemic changes at a global impact. The new viral memes can travel around the world in mere seconds thanks to the efficiency of the ideological nervous system we call the Internet, in fact it is this tool that has been used to spawn viral revolutions like Arab Spring and some of the actions of Anonymous. The future is likely to see much more of this as the Internet approaches even more global reach and internet connections begin to move towards the 5G standard around 2020. The internet is one of the novel engines of civilization that can be utilized to spread a new kind of contagion one that transforms the system entirely towards a sustainable equilibrium. 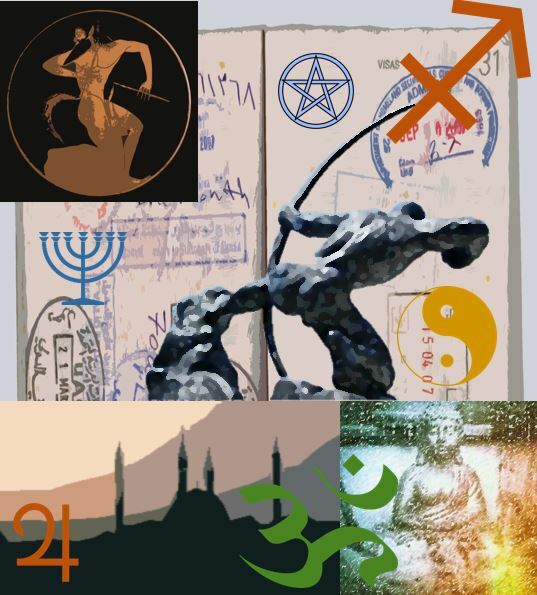 The tactic is aided by the evolutionary and purifying energies of Pluto which traverses this sign until 2023, interestingly Pluto is said to have viruses falling under its domain along with atomic energy, petroleum and other factors of the geo-political system. It is nothing short of a transformation in global civilization for better or for worse, and stay tuned because Climate Change will introduce its own viral selective pressures in to the system which could completely restructure the geo-political map. Mirroring your axial twin Cancer is this revolutionary idea that nature has limits that society must respect, that our innovations are constrained always by what nature can provide (which is a surprising super-abundance when natural systems are left alone to recharge and function uninterrupted). The problem of Capitalism and social institutions (a Capricorn province) is that they are not constructed on natural systems, but are extensions of the maladaptive idea of endless growth and heroic materialism. They do not accept a societal need for conservation and the idea of limits set by natural law. The virus of hyper-capitalism has to be replaced by a new kind of contagion (to keep with our theme of viruses). The likely route for Capricorn is to look at financial institutions as economics is an area that undergirds social institutions. It will need to be replaced by a contagion that contains the DNA for a post-scarcity resource based economics and perceptual change which stops favoring short term gains for long term planning which engages the idea of the long cycles of time (The Long Now) a Capricornian sphere. An economics that emphasizes experience, creativity, and social engagement over the heroic materialist stance of collecting dubious status in the climbing of artificial and imposed social hierarchies. There is an ecological need, that is becoming painfully apparent, for a more horizontal society and it falls to you to build the institutions that will empower this. The problem of Green authoritarianism obsesses Aquarius as they are not amenable to the relinquishing of individual autonomy in the name of ensuring sustainability. There is a way out of this Gordian knot and it is all about reorienting people to desire different forms of liberty that acknowledge striking a balance with the concerns of ecological systems. Instead of being free to have as many children as desired people instead focus on making sure the children they do have are desired and well cared for ensuring that couples won’t have too many. Instead of relying on the personal car for efficient transport, instead we lobby for better inter-city and intra-city rail service, so cars become obsolete (they are already a terribly in-efficient method of transportation in any case). Instead of suburban McMansions, people can begin to desire comfortable, well insulated, energy efficient medium density urban housing which is walkable to services and amenities and a vibrant cultural life. These are the necessary changes we will need to make to move us towards an eco-technic civilization, and at the same time avoid an ecological authoritarianism that will seek to impose restrictions by taking freedoms away. Aquarius if instead we can utilize human impulses and re-orient them to a new target of desire so that choices to live differently become voluntary than a loss of autonomy can be avoided as we simply re-orient the meaning of autonomy to reflect our changed collective realities. 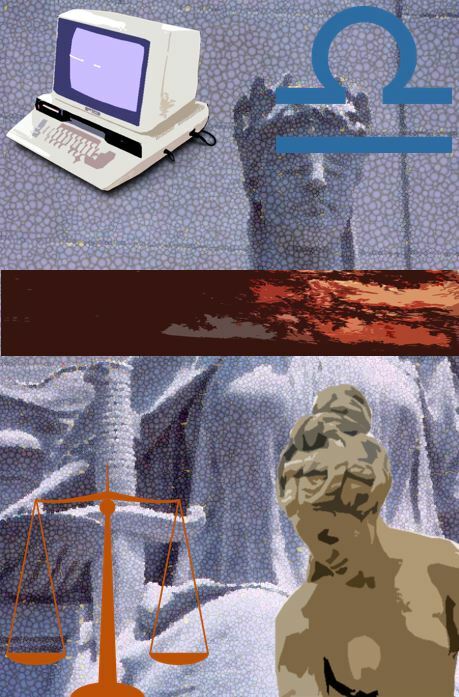 Aquarius must unleash the virus of alternative liberty, with the same virulence as Ebola, and the same contagiousness as Measles and be a reservoir for this new vector which will hopefully become contagious enough to lead to a critical mass of people that will begin to shift cultural patterns for generations to come. This is your evolutionary task and what is being given for this interval (you don’t have to figure it out in a month, but now is a good time to start). Ultimately in all viral replication it is the RNA/DNA itself that decides how the virus will proceed in its life cycle, as is true for all other organisms encountered on Earth. It is the high biotechnology of DNA that can re-arrange itself into trillions of permutations that can determine how genes will interact with their environment and how they will change under selective pressures. It is DNA that integrates into the host genome and ultimately provides the instructions to encode for viral machinery. DNA is the true G_d of this world and possibly of all worlds as it is likely that it is the same macro-molecule that determines other life-forms in other stellar systems throughout the Universe. 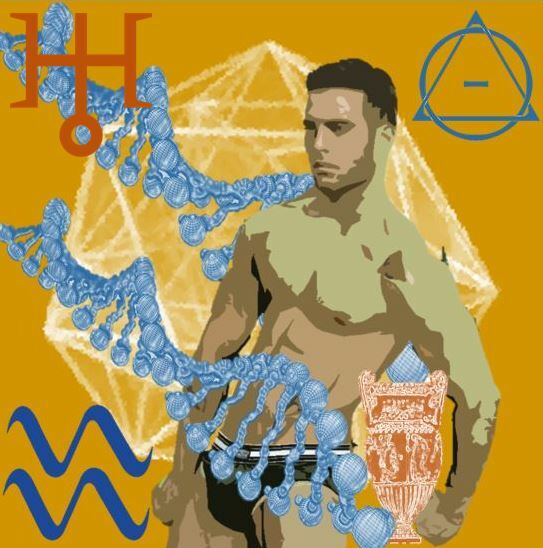 Pisces represents the master molecule itself, the actual viral DNA or in terms of cultural memes and evolution it represents the master narrative behind the imaginal order that determines how a society behaves. Along these lines your viral challenge now and always is to construct a novel narrative that can be used as the basic programming instructions for re-engineering the engines of civilization. It’s a tall order but your imagination is as prolific as the cosmos and also capable of attaining the same breadth and scale. It is a total redesign of every economic, social, religious, political, scientific and material assumption and will require a completely new permutation of our global social DNA, but like a virus you are capable of moving DNA around into novel forms and changing its expression in ways which permanently alter functioning systems. A final note on the ecological progression of microbial machines. There was once a time when our mitochondria the energy generators of all eukaryotic cells, were once exogenic biological agents likely a kind of primitive bacteria that ultimately came to live inside of a bigger cell and eventually formed a symbiotic relationship with the bigger cell eventually evolving into an organelle that became integral to the cell and its function. Mitochondria produce adenosine triphosphate which is the engine of all cellular reactions and powers all the functions of a cell, without them cells cannot function as we know them to function. This illustrates the importance of autonomous agents from the external environment providing necessary stimulus which can fuel the engine of evolution; and change a simple system into a more complex one that functions at a higher level of integration. These agents are the evolutionary target for all of us interested in the creation of another possible world, and what we must become to radically transform the system under which we all live. We must recognize that we are organelles within a larger cell membrane called the environment and it is a membrane we all share with every other living system that makes up the colossal cell called the planet Earth. Besos Psychonauts, and remember for now and always be the virus in the system which will ultimately change the system, and remember being viral is just another name for being ungovernable.